Everyone turns to Google for just about anything. And when people seek real estate developers, they have a wealth of information on the company’s history and past performance available to them online. 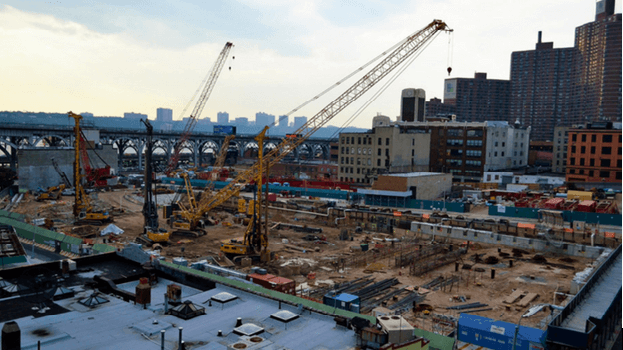 Perform a search on the top NYC urban real estate developers, and you will no doubt read about Related Companies, Extell Development, Chetrit Group, HFZ Capital, and Macklowe Properties. While your company may not be as distinguished as the top players just yet, your credibility is crucial nonetheless. Past projects that may have a bad reputation for being poorly constructed structures can hurt you. Don’t lose potential business by allowing your firm to be presented in a bad light that could discourage potential investors. As a Real Estate Developer, you’ll be obtaining land, preparing it for development, and managing the construction process of either commercial or residential properties. With the numerous specializations required to develop the property, you couldn’t possibly be all things. And rather than blindly trust what the lawyers, site planners, and contractors have to say, you need to be equipped to have some knowledge on all these specializations so you won’t be taken advantage of. Learn the fundamentals, know the lingo, and industry terms so you don’t get lost in all the conversations. There is no set course to enter the real estate development industry or specific credentials required. You may have worked in construction for some time or started your career in real estate as a broker. Stephen Ross, whose net worth is $17.6 billion as of 2017, started his real estate career by leveraging his knowledge in federal tax laws, allowing him to take advantage of the incentives that are granted by the federal government on construction of federally subsidized housing. While there is no license required to call yourself a real estate developer, an education and experience could determine how eager people will be to work with you. Capital partners will be more confident to finance you if they know you have a degree in something, preferably related to business, finance, construction, management, or even law. You may even want to pursue an MBA with a real estate concentration. While a degree doesn’t secure that your projects will all be successes, some form of education gives you the ammunition to not be bulldozed into deals that you weren’t equipped with the knowledge to negotiate yourself out of. To make it in New York, you need to think like a New Yorker. You need to be brimming with creativity to envision your next project while also being optimistic that despite fluctuating markets and dismal unemployment rates, your next project is worth the risk. Ultimately, the most successful real estate developers in New York have vision, experience, and either had real estate knowledge to begin with or strived to acquire it. If you want to make it big in New York as a real estate developer, know your market, pay your dues, and be prepared to take risk. But remember, the beauty of being a real estate developer is while you accept the greatest risks; eventually, you also enjoy the biggest rewards. Now that you know, go and make a killing.